Coastal Fertility Medical Center (Irvine) - Book Appointment Online! 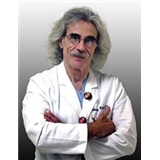 You can read all about Dr. Werlin's experience and knowledge elsewhere on his website. We all know how highly recommended he is. What I need to say is how wonderful the "Werlin experience" is.